Molly Donnelly's life is changing yet again and her mother is slipping further into a depression that is somehow linked to the secrets of her past. A past that her father has declared would bury her unless she buried it first. Molly is determined to discover the past her mother has so closely guarded and why she declares that she wasn't "beautiful and good" like her mother who died from the plague known as the Great Flu of 1918. Elaine Fitzgerald was fourteen years old when influenza changed life for most of the nation and for her family. She lost her mother, her baby sister, her aunt, and though he didn't die she lost her father. Keeping her family together was what mattered most and providing as normal a life as possible for her eight-year-old brother Stephen takes precedence. But in 1919 Brooklyn life is not easy especially without her mother to be a wall between them and their father. In 1955 Molly is fourteen, the same age her mother was when her life was forever altered. But searching for clues to the past isn't easy when San Jose is a so far removed from Brooklyn. And when Uncle Stephen is linked to a miraculous healing life takes another twist that further threatens the normal life Molly longs for. Molly's search into the past will have unexpected results that she never imagined. 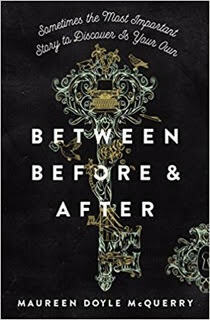 Between Before and After is a most engaging book that is told from both Elaine and Molly's perspectives. There are approximately 35 years between the before and the after of this book. This is a story of family, despair, hope, loss, betrayal, faith, and love. In other words, this is a book that looks at life and embraces it in all its facets good or bad. This is a story of mothers and daughters and of brothers and sisters and the bond that exists between them. This is most definitely a book for teens (or older) readers and not middle-grade readers. It is interesting to see just how different life in 1919 and 1955 differs from what we experience today - in no way is simpler (technologically speaking) easier. I was provided a complimentary copy of this book by the publisher through TLC Book Tours with no expectation but that I offer my honest opinion - all thoughts expressed are my own. 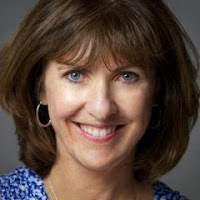 Told in dual narratives between 1918 New York City and 1955 San Jose, California, Between Before and After, by award-winning author Maureen McQuerry, explores the nature of family secrets, resiliency, and redemption. This is a historical coming-of-age Young Adult story about the complex bonds between mothers and daughters. Maureen McQuerry is an award-winning poet, novelist, and teacher. Her YA novel, The Peculiars is an ALA Best Book for YA 2013, Bank Street and Home Book recommended book. Her MG fantasy duo, Beyond the Door and The Telling Stone, were a Booklist Top Ten Fantasy/SciFi for Youth and a finalist for the WA State Book awards. Her poetry appears in many journals and anthologies. She lives in Washington State. Open to those with a US mailing address who are over 18 years of age. be passed on to the publisher who will mail out your book. I love mother/daughter stories, and I especially love that this is a YA one! Thank you for being on this tour. I'm thinking 1919 would be a much more difficult time to live in with the worldwide turmoil and war. Comparing these two historical eras will be fun to read about in this book. And yes, secrets can destroy families. I thing 1919 the flu epidemic was one of many that took many lives.